Which Vocational Degrees Pay Off? U.S. News & World Report recently published Which Vocational Degrees Pay Off? Some one-year certificates lead to double-digit wage gains. A new California study concludes that in some fields, especially health care, the answer is yes. In other fields, not so much. The working paper, “Career Technical Education and Labor Market Outcomes: Evidence from California Community Colleges,” was published online by the National Bureau of Economic Research in April 2015. Here’s how much extra a student will earn annually by finishing a vocational degree in a field, compared with a similar student who didn’t finish. For the full article, visit U.S. News at http://www.usnews.com/news/articles/2015/05/18/which-vocational-degrees-pay-off. 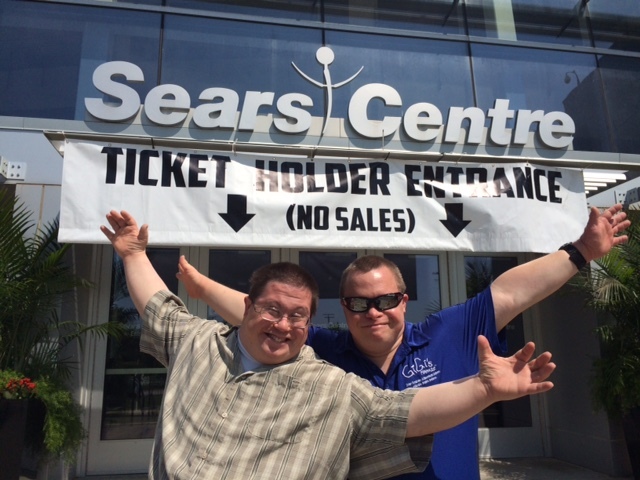 Chris and Matt were hired as Sears Centre employees yesterday. After a round of interviews, both GiGi U graduates were offered positions as part-time greeters for major events at the Sears Centre in Hoffman Estates! GiGi U is a goal-oriented program for adults with Down syndrome. Program participants, like Chris and Matt, work on the development of their confidence, health and wellness, career skills and communication skills. GiGi U and all other programs at GiGi’s are FREE to participants and their families! We can only offer free programming, like GiGi U, through the generosity of our volunteers and supporters! If you haven’t already – please join or support GiGi’s 5K Run Walk Dash! This event is a great way to share the achievements of individuals with Down syndrome! You can help us highlight the achievements of GiGi’s participants through social media by sharing the achievement messages from GiGi’s Facebook page. This is a great way to increase awareness about why you support GiGi’s Playhouse. 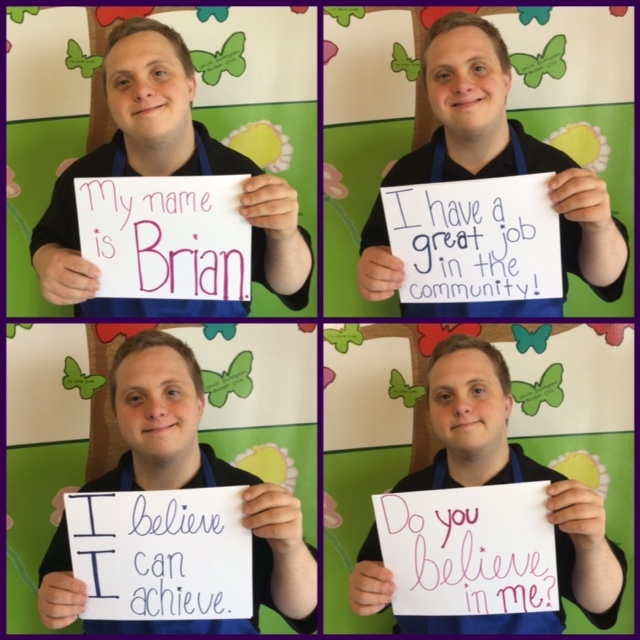 Each and every day individuals with Down syndrome believe in themselves and achieve great things! Help us tell people! Share posts from GiGi’s Playhouse Facebook page! Join or support #GiGis5KRunWalkDash at www.gigisplayhouse.org/5K. Thank you for Tom Goetz and Yvonne Irving from KCT Credit Union for sponsoring the May Fox Valley Networking Professionals Breakfast. The Aurora Public Library is pleased to announce that the main branch will be moving to a new location on June 1. Our new mailing and billing address will be Santori Library, 101 South River St., Aurora, IL 60506. Telephone and fax numbers are the same. We look forward to seeing you at the new Santori Library. Old Second Bank is hosting an “All American” Collection campaign to benefit the Wounded Warrior Project. From May 26 through July 3 you can honor and empower the lives of many of our veterans simply by donating your pocket change. What seems minimal to you, can have maximum impact on the lives of these wounded warriors. Please stop by any one of the Old Second National Bank branches to make a donation and help change the lives of these injured servicemen and women. Goodwill Store and Donation Center has a Grand Opening celebration on June 5 to June 7, at 8:00 a.m. at their new location, 1543 Mesa Lane, Aurora. Be sure to stop in for amazing merchandise and values. June 5, from 9:00 a.m. to 2 p.m., the Illinois Department of Central Management Services (CMS) is collaborating with elected officials in Aurora to host an event for the small business community at Waubonsee Community College. “Connecting communities to Illinois Business Opportunities” promotes opportunity for economic growth. Click here to register. The Aurora Area Convention and Visitors Bureau is proud to announce the hiring of Cort Carlson as Executive Director. Cort has 16 years of management, communications, sales, marketing and promotions experience and brings executive leadership to the tourism bureau. The Growing Place Garden Center is celebrating all things miniature. 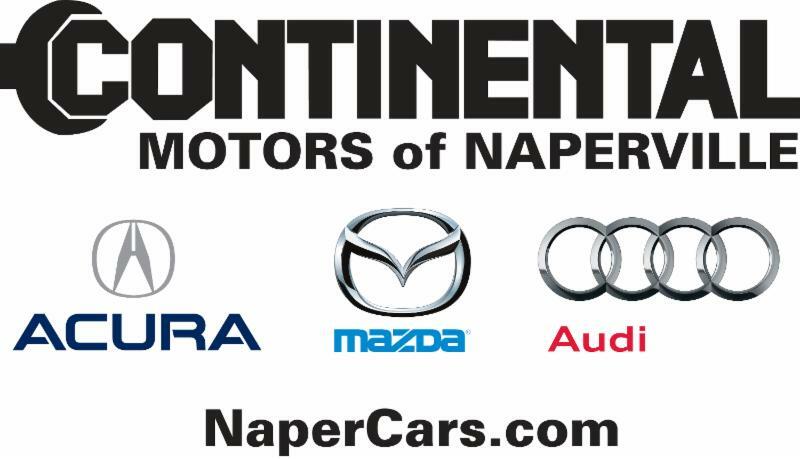 Festivities at the Naperville Store are on Saturday, June 6, from 9 a.m. to 5 p.m. The event moves to the Aurora location on Sunday, June 7, from 11 a.m. to 5 p.m.
Waubonsee Vision 2050 Futures Summit will be Tuesday, June 23, from 8 a.m. to 1:30 p.m., at the Waubonsee Community College, Sugar Grove Campus, Academic and Professional Center. The featured guest speaker is Nicholas J. Webb, a world-renowned business futurist and innovation thought leader. Registration is required by Monday, June 15 for this free-of-charge event by contacting Waubonsee.edu/vision2050. 2015 Palmer Cup will be June 12 – 14 at Rich Harvest Farms in Sugar Grove. This event pits the best athletes from the USA and Europe against each other over a three day competition. The event includes free public admission and parking. Spectators will also have the opportunity to walk the fairways of one of Golf Digest’s “American’s 100 Greatest Golf Courses” alongside the PGA Tour stars of tomorrow. Illinois’s Republican governor and Democratic-led legislature are at an impasse over how to fill a $6.2 billion budget hole, undermining the state’s credit in the eyes of investors and driving up borrowing costs. The extra yield buyers demand on Illinois bonds relative to benchmark debt has climbed to the highest since 2013, according to data compiled by Bloomberg. Asset managers at Conning and Wasmer, Schroeder & Co. say Illinois, already with the lowest credit rating among U.S. states, is at risk of being cut closer to junk. Challenges have only mounted since voters last year chose Governor Bruce Rauner, a Mr. Fix-it business executive, to repair Illinois’s finances. Lawmakers are poised to pass a spending plan that’s short by billions of dollars for the second straight year. The state also lacks a solution for the nation’s worst-funded pension system after the state Supreme Court this month overturned a 2013 overhaul. After meeting with legislative leaders Friday in Springfield, Rauner told reporters his plans for tax and regulatory change have been on the table for months. There’s ample time to reach an agreement by Sunday’s deadline to pass bills by a simple majority, he said. Thirty-two states are confronting budget gaps this year, next year or both, according to Standard & Poor’s. Some are reducing services, while others are proposing tax increases, even in Republican-led capitals. Yet the struggles of Illinois, with a backlog of $4.4 billion of unpaid bills, stand out, partly because the strains have left it ranked four steps above junk. While Rauner won’t agree to new taxes without spending cuts and steps such as letting localities exempt workers from union dues, Democrats demand more revenue, suggesting steeper levies on high earners. The deficit for the fiscal year starting July 1 emerged after an income-tax increase approved in 2011 expired at the start of January. Investors are penalizing Illinois as the fiscal pressure builds. Yields on the state’s 10-year obligations reached a 16-month high of 4.17 percent last week, data compiled by Bloomberg show. The spread was about 1.8 percentage points above benchmark debt, the widest since December 2013. Debt from Illinois has lost about 1.3 percent this year, while the entire municipal market is about flat, Barclays Plc data show. Illinois is graded A3 by Moody’s Investors Service and an equivalent A- by S&P. While both give it a negative outlook, S&P put Illinois on review for a rating cut after the court’s May 8 ruling, and said it would decide within three months. “I don’t see how this credit does not get downgraded within the next two months,” said Paul Mansour, head of municipal research in Hartford, Connecticut at Conning, which oversees $11 billion in munis for insurance companies. Trading in Illinois bonds suggests the municipal market is moving in that direction. Federally tax-exempt general obligations maturing in March 2032 traded Thursday for an average yield of about 4.9 percent. In comparison, a Bank of America Merrill Lynch index of BBB general obligations due in about 17 years has an effective yield of 4.85 percent. Legislators’ task is about to get more difficult. After Sunday, a three-fifths vote will be needed to approve a spending plan. The Democrats “are only interested in maintaining the status quo of broken budgets,” Catherine Kelly, a Rauner spokeswoman, said in an e-mail. Democratic House Speaker Michael Madigan, who controls the legislative agenda, told reporters this week that the $36.3 billion budget he intends to send to Rauner, a former private-equity executive, is about $3 billion short. Democrats plan to work with Rauner to raise the money, Madigan said. Steve Brown, a spokesman for Madigan, said by phone Thursday that Rauner’s budget, proposed in February, had “significant” gaps, including more than $2 billion in unrealized pension savings. While Illinois voters elected their first Republican governor since 1998 in November, the choice hasn’t done much to alter the political balance of power. Democrats held onto super-majorities in the legislature, setting up the potential for bipartisan compromise — or gridlock. Last evening, the Aurora City Council approved the appointment of its new City Clerk, Wendy McCambridge. 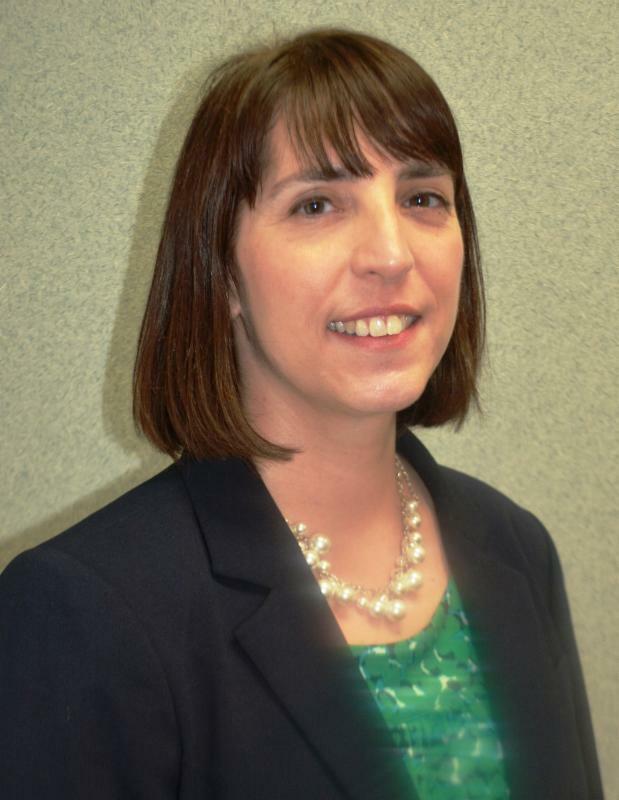 McCambridge has more than 14 years of experience in municipal and state government, most recently as an associate director at the Criminal Justice Information Authority, responsible for a unit tasked with monitoring more than $150 million in grant funds to agencies across Illinois. Prior to that, she served the City of Evanston for seven years as the division manager overseeing administrative adjudication and liquor licensing. In her work at Evanston, McCambridge was instrumental in integrating new technology to increase government efficiency and transparency, implementing digital recording during hearings and at city council meetings, and adapting software to the task of tracking liquor licenses. Before beginning her administrative career, McCambridge worked for nearly a decade in child welfare, directly in youth homes and also at the Illinois Department of Child and Family Services, negotiating with and monitoring the work of private childcare facilities. “As a nearly eight-year resident of Aurora, I am really excited to be bringing my expertise, gained over fourteen years in local government, to the place where I call home,” McCambridge said. McCambridge earned her Master of Public Policy from the University of Chicago and her Bachelor of Arts in Social Work from Marquette University. McCambridge will assume the City Clerk’s position on Monday, June 22, 2015. One of Chicagoland’s top five courses, Orchard Valley Golf Course is an 18-hole, 6,800-yard, par-72 championship layout open to the public. This beautiful course offers the appropriate challenge to all skill levels. Orchard Valley has been distinguished by Golf Digest Magazine as a 4½ star facility. 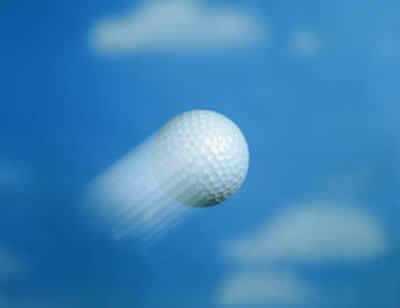 Register to Golf with Us! Registration and Lunch begins at 11:30 a.m. Shotgun Scramble start at 1:00 p.m. Reception begins at 6:00 p.m.
A limited number of sponsorships remain for the 2015 Golf Classic presented by FirstMerit Bank. Ranging from $750 for Reception Sponsorships to $500 for Tee Box/Hole sponsorships to $250 for Lunch Sponsorships, your business or organization can marketing your product or service to the Chamber membership and golfers. For details, contact the Chamber today. 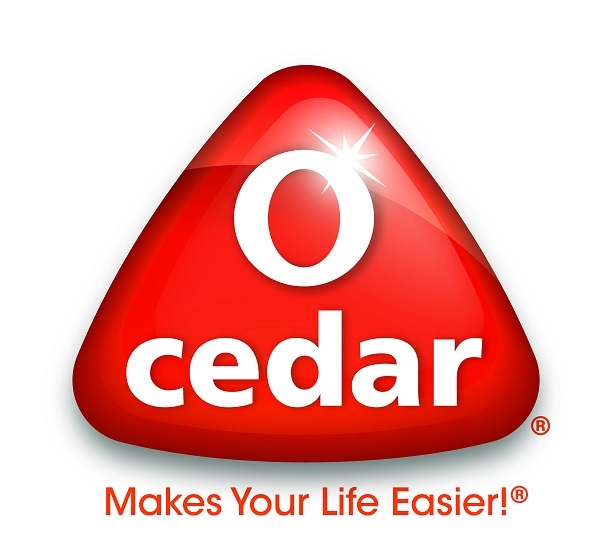 For a list of current sponsors and supporters, visit the Chamber website. For our members who do not golf, lunch and reception tickets are available on the registration page as well. Does ACA Compliance Keep You Up at Night? Registration and Breakfast begins at 7:30 a.m.
ACA has most employers anxious about its impact on their businesses, particularly those with more than 30 employees. Would learning how to turn it to your advantage in controlling your premiums be worth attending our event? While enrolling employees in benefit plans, many employers run afoul of compliance with multiple governing agencies, including the IRS. 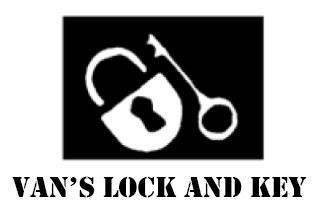 Would you attend our event to learn how to stay out of jail? Activity continues in Springfield with committee hearings. Check out the Chamber’s blog for details on legislative activities. 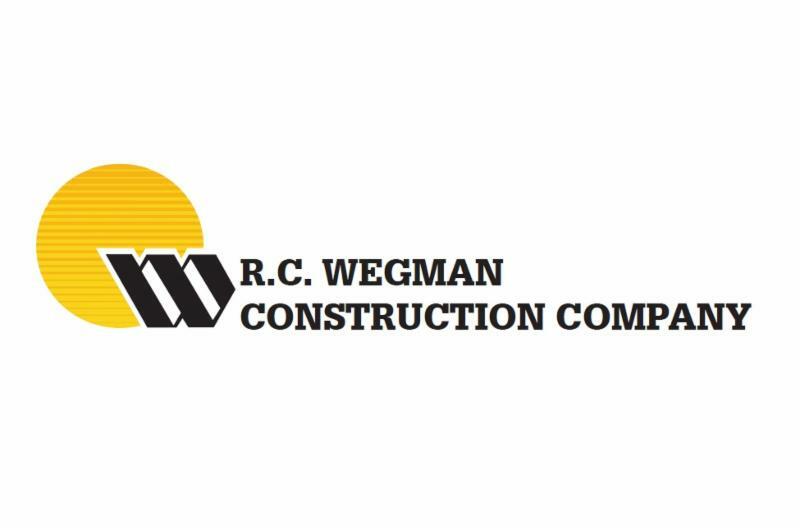 Wednesday, May 27, at 8:00 a.m.
Thursday, May 28, at 4:00 p.m.
Thursday, June 11, from 5:30 to 8:30 p.m.
Wednesday, July 8, 7:30 a.m.
Thursday, July 23, from 4:30 to 6:30 p.m. The Illinois Department of Central Management Services (CMS) is collaborating with elected officials in Aurora to host an event for the small business community at Waubonsee Community College, Aurora Campus on June 5, 2015 from 9:00am to 2:00pm. The elected officials from the Aurora region that are supporting this event will be welcoming business owners at 9:30am. Make a Connection: “Connecting communities to Illinois Business Opportunities”, promotes opportunity for the economic growth of small businesses that include minority, women, persons with disabilities and Veteran owned businesses. Business owners will have the opportunity to engage with other professionals and learn valuable information about the process in doing business with the State and about local programs that are available to the small business community. Registration for this event is recommended; you may register to attend at: www.CMS.Illinois.Gov/Events. For event details and booth exhibitors, please refer to the attached documents. We encourage you take advantage of this resourceful event, circulate the attached event information by sharing it with other business owners that may benefit from it. Rauner aides shared copies of five pieces of legislation with reporters late Thursday, including measures that would make changes to workers’ compensation insurance for employees hurt on the job, overhaul the system for awarding judgments in civil cases and freeze local property taxes. Also drafted were two constitutional amendments that would set term limits for lawmakers and statewide officials and change the way legislative boundaries are drawn. Absent from the package was one of the most high-profile items on the Republican governor’s wish list: a right-to-work law that would restrict unions’ power by limiting how they can collect dues. The governor also wants to pursue changes to the Illinois Constitution that would limit lawmakers to 10 years in office and restrict statewide officials to no more than eight years in office. A Madigan ally led efforts to block Rauner’s push last year to put a question on the November ballot asking voters to impose term limits. Currently, state lawmakers are charged with drawing a new map that’s subject to approval of the governor. That’s what happened after the 2010 census when the Democrat-controlled General Assembly drew a map signed by then-Gov. Pat Quinn, a Democrat. 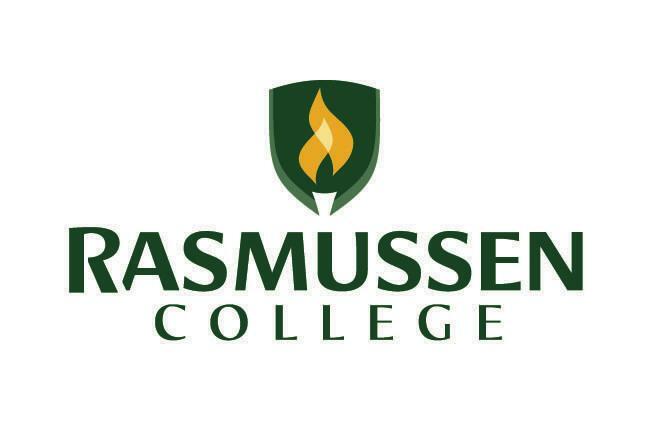 Thank you to Rasmussen College for sponsoring a fabulous Coffee & Connections on Tuesday, May 19, at Painters Council District 30. Advocate Dreyer Medical Center will host special Sports Physical Day event on Saturday, May 30, from 12:00 to 3:00 p.m. The event will be held at 1221 N. Highland Ave., Aurora. Dr. Marc Hilgers, Sports Medicine expert, will be on hand to educate parents and athletes on concussions and answer questions. Call (630) 859-6800 to reserve a time. Family Movie Night on Friday, May 29, from 6 to 8 p.m. at GiGi’s Playhouse. Please wear your pajamas or other comfy clothes, and come watch “Big Hero 6”. Bring a snack to share, pizza and popcorn will be provided. RSVP to foxvalley@gigisplayhouse.org. Engineering Enterprises, Inc. is pleased to announce the addition of Colleen C. Jaltuch, P.E., LEED AP BD&C to our transportation group. John D. Hoffmann, P.E., CPII has been promoted to a Senior Project Engineer II. Community Foundation of the Fox River Valley launches a new website. Please visit www.CommunityFoundationFRV.org to see all the exciting new features. On April 1, the Community Foundation opened a new office in Geneva. Stop by for a visit soon. Congratulations to Sharon Stredde on receiving an Honorary Doctoral Degree from Aurora University. She has dedicated more than 30 years to service for the Community Foundation. 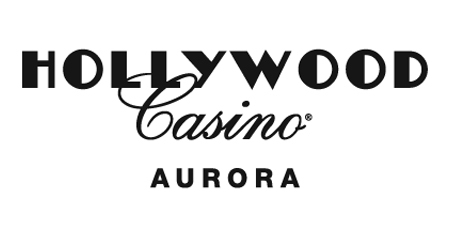 You are currently browsing the Aurora Regional Chamber of Commerce blog archives for May, 2015.